We are a family of 5 (Dad, Mom, and 3 kids) traveling full-time around the U.S. in our 5th wheel as we homeschool (AKA roadschool) along the way. We originally decided to try this lifestyle for a year to give our kids the experience of a lifetime. It’s been over 2 years now and we’re still living on the road and having as many great experiences as we can. Read more about us here. We keep a travel blog detailing our experiences and the places we visit. 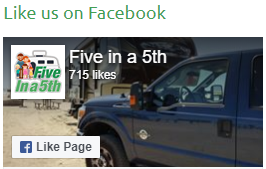 We also write reviews of our gear, give RV tips, talk about homeschooling/roadschooling, and other things relevant to those who might want to try the full-time traveling lifestyle. These are the places we’ve camped or visited since beginning our full-time travels in May 2015. Fast Trip Back to Oceanside (6/26/2017)- Three weeks to get from Missouri to Southern California. 1900 miles and seven stopovers. Here's what we did along the way. Truman Presidential Library and Museum (5/31/2017)- The Harry S. Truman Presidential Library and Museum in Independence, Missouri is a tribute to the legacy of the 33rd President of the United States. Niagara Falls from the American Side (5/29/2017)- Most pictures of Niagara Falls are taken from the Canadian side. Having been to the Canadian side before, we can now say that we much prefer the American side. Road Trip to LDS Church History Sites (5/27/2017)- A summary of our road trip through the main LDS church history sites east of the Mississippi, including Palmyra, Kirtland, Independence, and Nauvoo. Pennsylvania Dutch, Amish, and Hershey Chocolate Factory (5/11/2017)- We thoroughly enjoyed our visit to Pennsylvania Dutch country, where we stayed for 9 days in April.